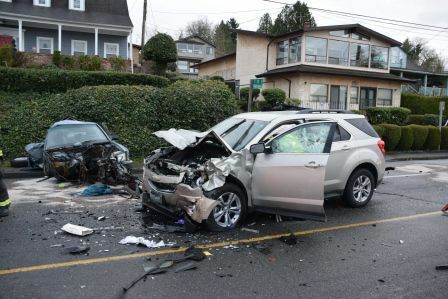 Seattle police say that four people were seriously injured in a three-vehicle car accident on South Seattle’s Rainier Avenue South on Monday evening. According to officials, the crash occurred in the 11000 block of Rainier Avenue South just after 6:30 p.m. When first responders arrived at the scene, they reportedly found two of the vehicles involved near each other and the third vehicle was approximately 200 feet away. Kent Fire Department Captain Kyle Ohashi told reporters that all three of the vehicles suffered serious damage, while one of the vehicles lost the entire front-end and the engine actually came out of the vehicle and was lying in the roadway. 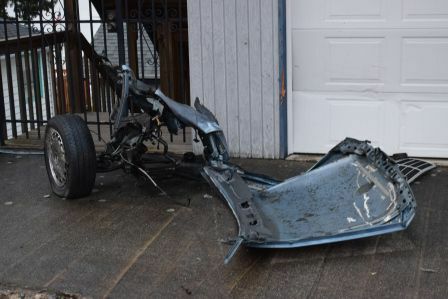 Most unusual was the fact that fire department officials found some debris in the roadway, believed to be from one of the vehicles on the roof of a nearby home. Four people involved in the collision were taken to nearby hospitals, and one of the victims had reportedly suffered various life-threatening injuries in the crash. Another victim was seriously injured as well, but officials did not provide any additional details about the nature of the victims’ injuries. Q13 Fox reports that the King County Sheriff’s Office is conducting an extensive investigation in order to determine contributing factors to the crash. The results of this investigation could have a significant impact on the injured parties’ ability to successfully recover compensation for their injuries. Of course, one of the most important factors in pursuing a personal injury claim after a car accident is the collection and preservation of evidence. When it comes to the civil claims process, the more evidence there is to support a person’s claim, the better the chances of a favorable outcome.